Many delighted health conscious Chicagoans have found that Delightful Pastries, one of Chicago’s most beloved bakeries, is also the creator of wonderfully fresh homemade sandwiches and soups that are as healthy as they are delicious. Delightful Pastry’s focus on savory foods is readily apparent at two of their locations: the Delightful Pastries Café and Bakery in Old Town (1710 N. Wells St., Chicago; 312-255-0724) and the popular Delightful Pastries kiosk at the Chicago French Market (131 N. Clinton, Chicago; 312-234-9644). Sandwich favorites, available at both Delightful Pastries locations, include The Polish ($8), with Polish ham, Swiss cheese, homemade horseradish sauce, mayonnaise, Dijon mustard, tomato and field greens, served on a fresh butter croissant; the Thanksgiving ($8), hand carved turkey breast, Swiss cheese, homemade horseradish, mayonnaise, Dijon mustard, cranberry sauce, tomato and field greens on a fresh butter croissant; The Fusion ($8), “Ceviche Style” shrimp salad, mayonnaise, spice, pickles and field greens on a fresh butter croissant, and The Three Piggly Wigglys ($10), made with Polish ham, lean crispy bacon, pan fried pork cutlet and pickles, served on an “everything” bun. Peanut butter lovers can’t resist the He Lives! ($8), with peanut butter, grape jelly, lean crispy bacon, banana, house secret sauce, all served on a fresh butter croissant. Signature Specialty Sandwiches at the Wells Street location the unique B.E.L.T. Sandwich ($8.50), made with peppered bacon, egg salad, baby lettuces, tomato, and served on a homemade croissant. The Tuna Sandwich ($8.75) features Mediterranean tuna salad (with artichokes, sundried tomatoes, olives, and vinaigrette), topped with baby arugula and served on sunflower rye sourdough bread. On the lighter soup side are the Chicken Noodle Soup and the chilled Gazpacho (seasonal and vegan). 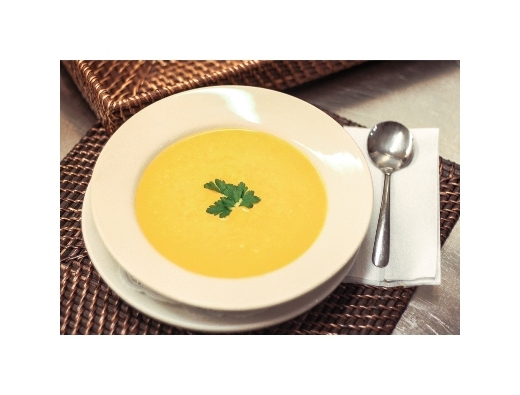 Heartier soups include Split Pea with Ham, New England Clam Chowder, Spring Harvest Soup, Beef Mushroom Barley and the Cream-free, Gluten-free Butternut Squash soup. The savory collection at the both locations also include freshly baked Quiches, Frittatas and Spinach Lamb Pie, salads, and the to-die-for Pierogi, which have been Delightful Pastries signature items since the beginning.